With the new year, you should start to get tax forms in the mail. There is a new one you should be on the lookout for if you were one of the millions of people who signed up under the Affordable Care Act (Obamacare) and received subsidies for your insurance. If you did, you should be receiving a new form in the mail for this tax season. The form is called form 1095-A, and in many respects, it’s like a W2 form for health care insurance. You’ll need this form to fill out your 2014 taxes, and the administration announced it has started to send them out to people. Keep an eye out for it in the mail, and be sure not to accidentally throw it away as junk mail. There was worry earlier that these forms could delay people getting their tax refunds this year. 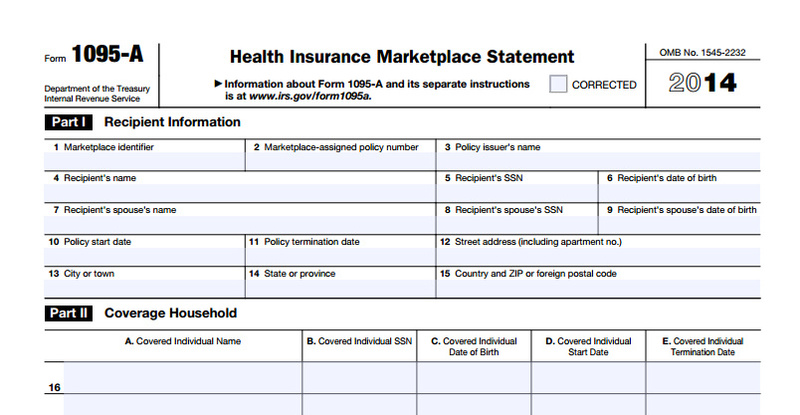 The 1095-A is a form for those consumers who, as part of Obamacare or their state’s health exchange, received tax credits for the insurance they purchased. The form will show the amount of money the government subsidized the insurance premium you chose, and the information is taken from what you input into the system when applying for the health coverage. It’s important to check and make sure the numbers are correct, and you’ll need to report this number to the Internal Revenue Service (IRS) when you file your taxes. If you do see a mistake on the form, contact HealthCare.gov or your particular state insurance exchange to resolve any discrpencies. 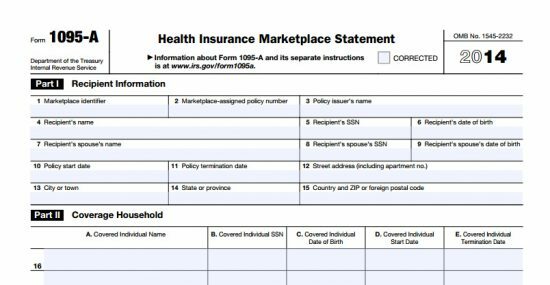 Since this is the first year that those who have purchased subsidized health insurance will be receiving this form, government officials are concerned many people will not know what the form is, or ignore it since they have never needed it when filing their taxes in the past. They want to make clear that the information on this form is needed for filing your taxes, so it’s important to make sure to open it when it arrives. The form itself doesn’t need to be filed with your taxes. The information on form The 1095-A will be needed to fill out form 8962, which will be filed with your taxes. Either you, or your tax preparer, will need to fill out form 8962. This form shows whether you received the correct subsidy amount you were entitled to under the law. The amount you’re entitled to depends on the size of your household, your income and the cost of health insurance in your area. If you received too much of a subsidy, the IRS will automatically reduce the amount you get back on your tax return. This might happen if you received a raise or your income increased in 2014 beyond what you put in when filing for health care, and you failed to report this income increase to your state insurance exchange or HealthCare.gov. On the other hand, if your income was less than what you estimated it would be when you signed up, the IRS will increase your refund.